FOIL is the representative voice of the Defendant Insurance Lawyer Community, which advances a reforming agenda for a more transparent and proportionate claims environment benefiting claimants and insurers alike. 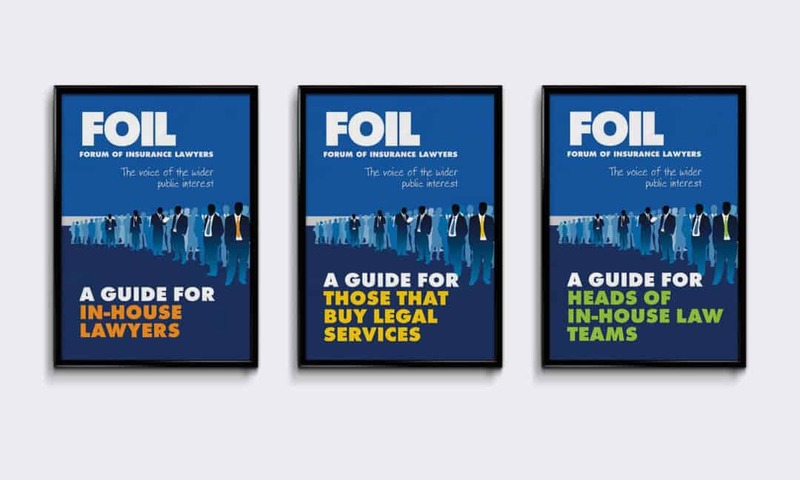 FOIL’s members are involved in all areas of insurance and comprise lawyers acting predominantly or exclusively for insurance clients (except legal expenses insurers) either practising with law firms, or as barristers or in-house lawyers for insurers or self-insurers. Non-profit organisation FOIL (Forum of Insurance Lawyers) approached us as they were in need of creative marketing consultation with a view to developing a bespoke website for their organisation. They required a platform that could offer tiered secure access to a range of potentially confidential content and information to different users depending on what level of access each had signed up to. In order for FOIL to fulfill their goals efficiently, our team set to work creating a multi-tiered website platform. The site featured a bespoke content management system allowing their team to fully manage all key areas of the site with ease. The design of the site represents a modern professional feel, tying in perfectly with the existing FOIL branding. In addition to the all-new website design and development, our team also created a range of promotional merchandise as part of FOIL’s ongoing marketing strategy. This content included a variety of custom exhibition stands, promo leaflets and email template. More recently, Creativeworld has been asked to further develop new areas for the site which include a ‘Members Only Special Offers’ section – again fully accessible via the comprehensive Content Management System. In addition to developing a much more intuitive, modern website for FOIL, our team has also created a highly sophisticated CMS that allows FOIL to easily update information and add information, so ensuring their website is always up to date.